What does it mean to be a Certified Criminal Law Specialist? With technology advancing at such a rapid pace, that means the law is always changing and developing to suit the times. The issue of drones is one of those issues. If you are a drone owner, you likely are seeking to be informed as to what the drone laws in Arizona are. If you’d like to fly a drone as a commercial pilot in the state of Arizona (i.e. for work/business purposes) you are obligated to follow the requirements of the FAA’s Part 107 Small UAS Rule, which includes passing the FAA’s Aeronautical Knowledge Test to obtain a Remote Pilot Certificate. If you’d like to fly a drone as a hobbyist in the state of Arizona (i.e. for fun/pleasure) you are required to register your drone with the FAA and follow the FAA’s recreational fliers rules. If you’d like to fly a drone as a government employee in the state of Arizona (i.e. for a police or fire department) you may either operate under the FAA’s Part 107 Rule or obtain a federal Certificate of Authorization (COA). Is prohibited by federal law or regulation that governs aeronautics, including federal aviation administration (FAA) regulations. Interferes with the operation of a manned aircraft. Interferes with law enforcement, firefighter or emergency services operation. Causes the intentional killing of a bird or animal while in flight. Another notable restriction outlined by this statute is that a city, town or county in Arizona may not enact or adopt it’s own policy or rules that relate to the ownership or operation of drones. For example, in 2017 the town of Paradise Valley had attempted to pass an ordinance that would restrict drone usage in the interest of public safety, but it was unable to due to this statute. When it comes to land in a park or preserve owned by the City of Phoenix, restrictions apply to the use of unmanned aircraft (drones). And pilots must follow Phoenix City Code Section 24-49 in addition to state and federal law. According to the Arizona Game and Fish Department (AZGFD), the Grand Canyon State only has 67 pairs of breeding bald eagles. To protect this magnificent bird that is an endangered species, wildlife management agencies close areas around breeding locations during the breeding season (starting in December). 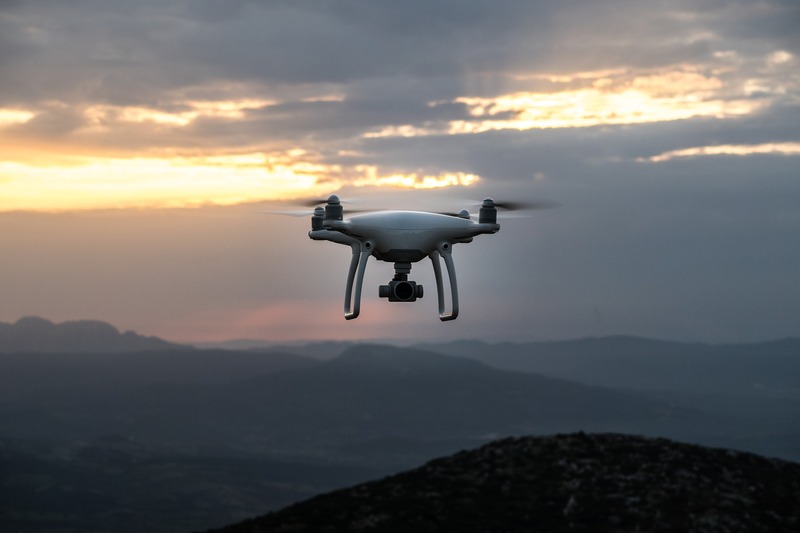 If you have further questions regarding the drone laws in Arizona or have been charged with a crime of any kind in the state of Arizona, contact Coolidge Law today.